On today’s episode of the podcast, I’m joining a Angela Murphy for a few easy miles. I’ve “known” Angela for awhile online, mostly through Twitter, and I was really excited to have a chance to “run” with her today. Along the way, Angela has developed into the kind of person that “needs” running, especially when it comes to helping to get through the highs and lows of life. And one of the lows has been real low, as you’ll hear in our chat. We talked about a whole host of goods, bads, and a handful of in betweens during our chat. Here are some of the highlights of our run. 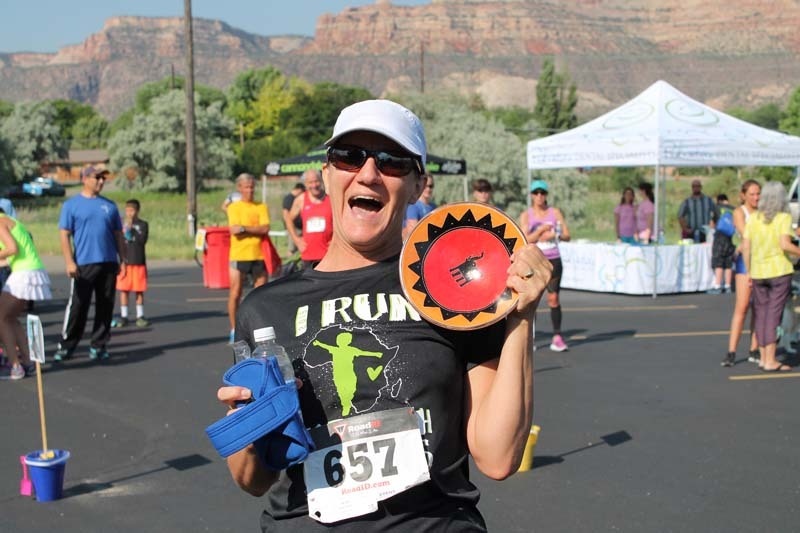 Making some rookie mistakes running her first trail race–an ultra no less! Another run streak in her future? Check out Angela’s brand new blog (which is already one of my favorites!) or connect with her on Twitter and/or Instagram.